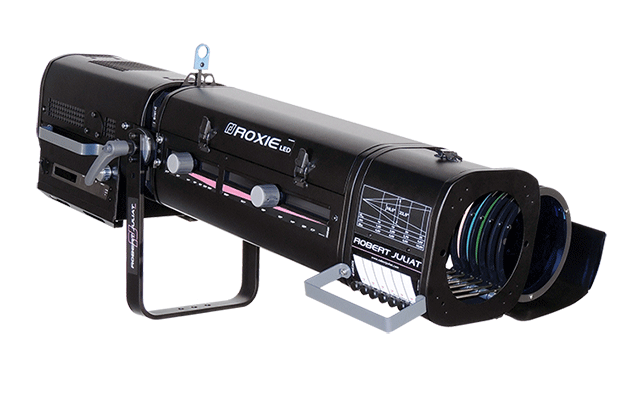 A little LED wonder with the power punch, Roxie is Robert Juliat’s first LED followspot. The compact 300W spot is all about efficiency. It fits in the smallest of spaces and is the ideal energy-efficient solution for all those venues where running costs need to be significantly reduced. 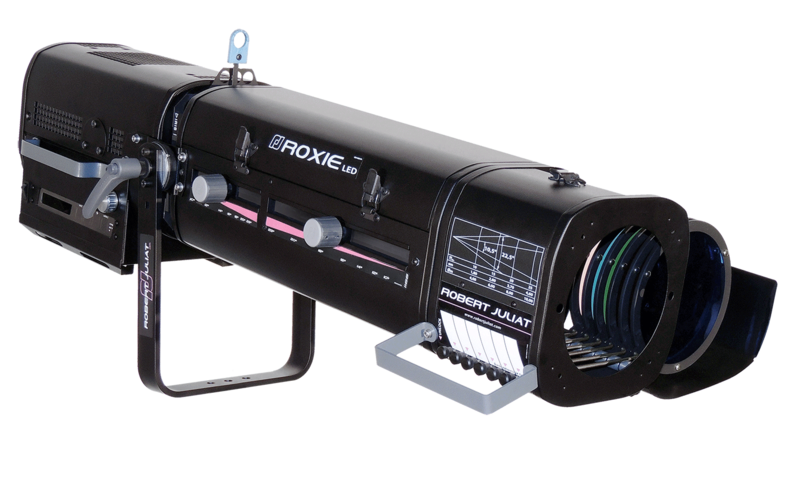 Roxie delivers an output comparable to most of the 575W discharge followspot available on the market. No heat, no lamp change, less maintenance. Smooth electronic dimming is available as standard, either locally via the rotary dimmer knob or remotely via DMX.